This scribble was published on Monday, December 31st, 2012. You can follow any banter on this scribble with the RSS 2.0 feed. You can share your inspired musings after typing the anti spam word near the bottom of the page. But no Pinging because its too naughty. Today’s anti-spam word is “********” [word removed by wendy to comply with play nicely rule 7]. I think that’s a better word than either Omnishambles or GIF. I’m just saying! 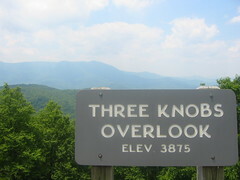 As for three knobs, it’s like they know me. Spooky. Tho I may need to fire my tailor. The American selection (or rather selection on behalf of America) of ‘GIF’ seems a bit 1995, bringing to mind CompuServe and the UniSys patent. I am unconvinced of the resurgence of the format. You don’t even have one of those little animations of an envelope addressing and sending itself, labelled ‘Get in contact’, on this page – which is natch the epitome of with-it blog design. BTW: HNY! and all that. What can I say? Thank you for humouring an Older Person in this way. He is v grateful. Gah, accidentally ‘liked’ my own post. Didn’t mean to, your honour. The mouse slipped in my hand. being that we should be wary of geeks bearing them (gifs I mean). and was going to say that your anti-spam word is not working. It gave me [removed], which I read as [removed] and was going to say that is obviously wrong when applied to me. However, I do the obligatory web search required at such times and the first result mentions cheap shampoo, so that’s OK. It does work. Now I want to know how you did that, so i get that word….